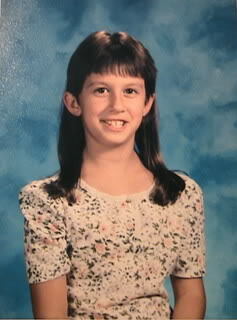 This is my third grade school photo, from September 1991. The relevance of it, aside from today being Throwback Thursday, is that I was talking about this haircut the other day with my hairstylist. In 1991, this was referred to as “the shag.” But let’s just call it what it is…”the mullet.” Ugh, business in the front, party in the back…and horrible bangs to go with it. I’m convinced if MacGyver had a daughter, I would have been it. In fact, if they had been casting for a long-lost love child, I could have been a shoo-in. Let’s face it, this style only works on some people. My mom said that she told my stylist at the time to “do something with the front,” since I have terrible hair that refuses to style properly. It still has this problem to this day – it’s the reason I had a pixie cut for three years. It’s also the reason I don’t really allow my hair to grow too long – once it reaches a certain length, all hell pretty much breaks loose. 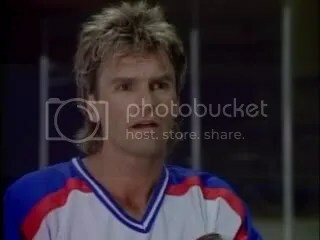 I would actually like to know if the “she-mullet” was actually a thing in 1991, or just something better left to men who could work it better. Please visit my other writing home on the internet, where everyday is a Throwback Day – The Retroist. Say hi to the people that keep nostalgia alive and well! Previous Post What’s The Other 80%? !